Start your morning off with an inspirational message! 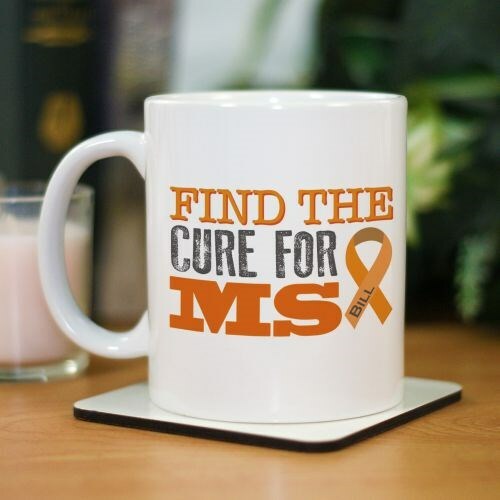 When you enjoy a cup of coffee out of this MS awareness mug, you'll be reminded how important the fight for a cure is to you. These make the perfect gift for your walk or fundraising team. Mugs are available in different sizes ranging from 11 ounces to 20 ounces. Free personalization of any name is included. Today’s Price: $13.99 In Stock! Additional Info Shop our MS Awareness gear to find some great merchandise that will help you get your message across. If we work together, we can help find a cure for this debilitating disease. Our MS Awareness Two-Tone Mug is another great drinkware item.